Charles Darwin is known for the phrase “survival of the fittest.” Fun fact: he isn’t the one who coined the phrase; we can thank Herbert Spencer for that one. Survival is such an interesting word that people can take many different definitions for. Me? I survived my freshman year of college. I lived to tell the tale, all of the ups and the downs but I am still standing without any major harm. Yay me! This past year has brought a lot of change, as I knew it would. Just a year ago I finally decided to attend MSU. Here’s my freshman year, according to my iPhone. I had a roommate for the first time. Attended my first college football game! Go Green! 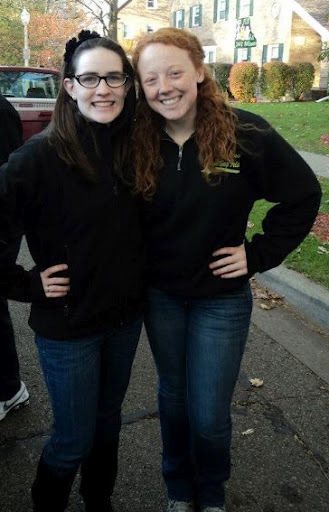 Joined a sorority and met some pretty incredible women along the way. With me is my big sister, M; I don’t know how I would have survived the year without her! Consumed a lot of candy. 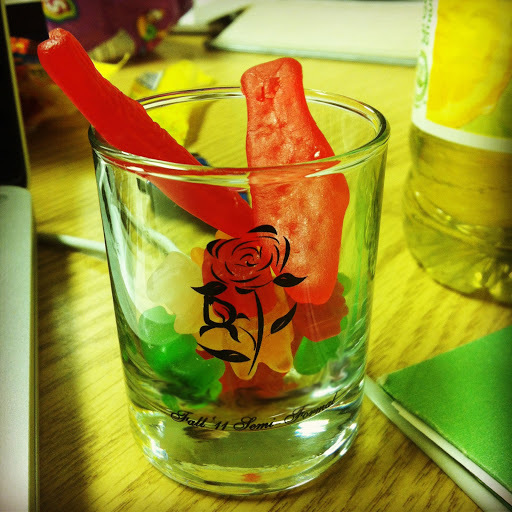 Any stressful night you could find me with my shot glass filled with swedish fish and gummy bears. I visited Disney World with my bestie, Bumble. I survived two finals weeks.